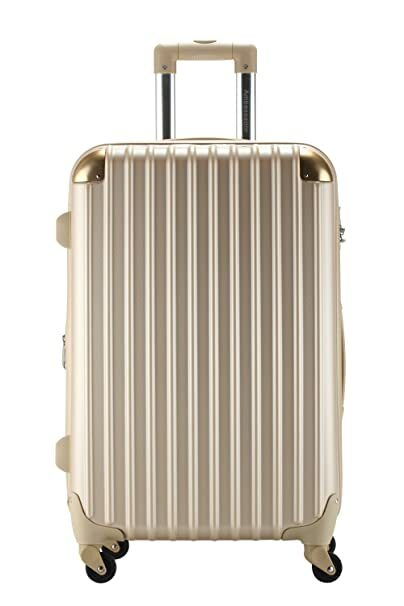 Rose Gold Suitcase can be the star gift of 50th Wedding Anniversary Celebrations, which always dress up in Gold. After 50 years together, savvy couples celebrate by getting away to a romantic spot: it’s a Golden Honeymoon and pink suitcases won’t do. Golden suitcases, on the other hand, suit the occasion perfectly. And today, we’re lucky enough to be able to purchase new rose gold suitcases with a pretty good quality at a very low cost. Check out our ultimate selection below for the romantic traveler. <pstyle=”clear:both;text-align:center”>Here’s your classic high-quality suitcase: 4 extra-durable wheels, quality-tested for sturdiness, with 360 mobility and TSA approved latch locks. Created by French Designer Patrick Gerand, this is a simple, straight-forward choice, for the savvy, frequent and stylish traveler. 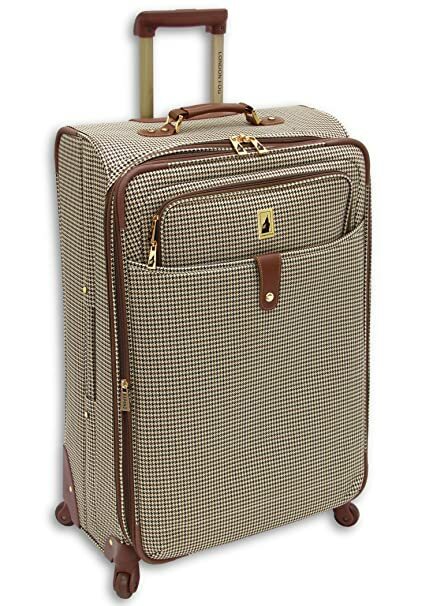 <pstyle=”clear:both;text-align:center”>If you’re just looking for a touch of gold and a sleek, easy to find colors and sophisticated jacquard exterior, the Chelsea model of the London series allows you to expand its capacity up to 30%. Ideal for reserving space for gifts and souvenirs – peace of mind for the return trip. Convenient top, side and bottom carry handles for easy lifting. Check out the complements featured on Amazon. 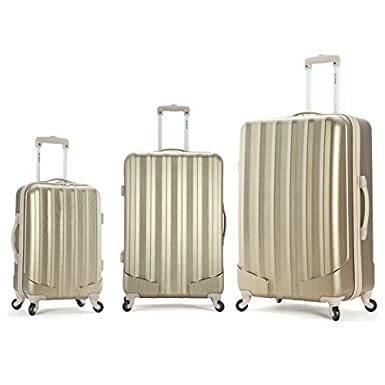 <pstyle=”clear:both;text-align:center”>For the same price as the single pieces above, you can purchase this extra-lightweight and super-durable set of 3 suitcases. Polycarbonate is the same material used to manufacturer bullet proof glass and it’s extra-light. 4 wheels make them easy to maneuver and their shinny gold is both classy and easiest to find in an airport! 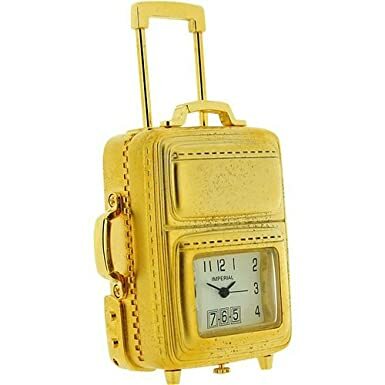 <pstyle=”clear:both;text-align:center”>And a small token that goes perfectly with your suitcase gift… This cute little clock embedded in a golden suitcase features and Imperial dial with hour, minute and second hand. It is ideal for a miniature collection or as a memory of such special getaway. The 50th anniversary wedding honeymoon with a Rose Gold Suitcase!